Mill Street Center is Marin County’s only year-round emergency shelter for adults. 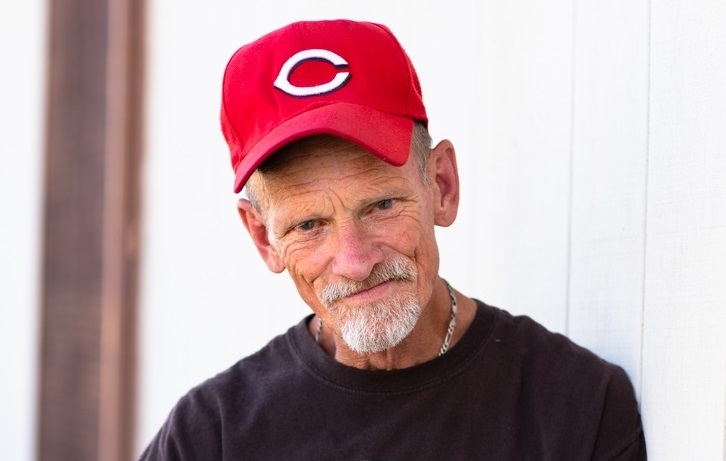 Mill Street and and New Beginnings Center, a “second-step shelter,” compose a large part of our Adult Services Program, which supports individuals as they begin their journey out of homelessness. The Transition to Wellness program, operated with local hospitals and social service agencies, offers three double-bed rooms of medical respite shelter for adults leaving acute care without stable housing. Homeward Bound also operates several long-term supportive housing programs. The “front door” of our Adult Services Program, the 55-bed Mill Street Center in San Rafael is the county’s only night-to-night emergency shelter for homeless individuals. It serves both men and women in separate dormitory-style rooms. A network of volunteers from three dozen churches and community groups provides a home-cooked dinner nightly. People needing help can access Mill Street Center through referral from a community agency like Ritter Center or St. Vincent de Paul or by calling 800-428-1488 at either 10:30 a.m. or 6:10 p.m. to check if space is available. Read more about accessing Mill Street Center services. Mill Street operates as a “housing-focused shelter,” meaning that all residents are expected to engage in developing plans for stable housing. As space becomes available, residents may move to New Beginnings Center or other programs. New Beginnings Center, or NBC, is an 80-bed shelter for single homeless adults in Novato. This center that combines shelter, job training and work experience opportunities opened in 2000 as the first homeless shelter in the country built on a decommissioned military base. The center operates as a “housing-focused shelter,” meaning all residents are expected to engage in developing plans for stable housing. A total of 16 beds are set aside for homeless veterans in a partnership with the U.S. Department of Veterans Affairs. New Beginnings Center offers on-site programs for employment skills training. These include Fresh Starts Culinary Academy, an award-winning 10-week intensive course in culinary basics certified by the American Culinary Federation. Homeward Bound also offers paid apprenticeships in Janitorial and Building Maintenance as well as Landscaping and Garden Maintenance. Three double-bed rooms at the Next Key Center for adults leaving hospital care without stable housing. Services include nursing supervision, case management and access to support from Homeward Bound. This innovative program is a collaboration between Homeward Bound, local hospitals, Ritter Center and other social service providers. All residents in this program are referred from inpatient care at Marin General Hospital, Novato Hospital or Kaiser Permanente Medical Center in San Rafael. In 2017-18, the program served 56 people, saving 964 days of hospitalization valued at almost $2.9 million. These 29 studio apartments adjacent to New Beginnings Center provide “employment enhancement housing” for people completing longer-term education or job-training programs. Residents may enroll in training at Homeward Bound or elsewhere, including classes at local colleges or employer-sponsored programs such as management training at Lenscrafters, Sears or Starbucks. The Next Key Apartments are part of a site that includes Homeward Bound administrative offices, a training kitchen for Fresh Starts Culinary Academy, and The Key Room event venue with on-site catering. 20 single-room units with shared kitchen, living room and bathrooms. 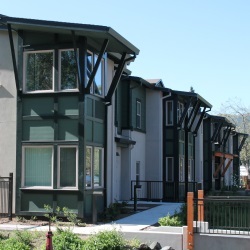 Eight apartments for formerly homeless seniors at the Fireside Apartments in Mill Valley, a collaboration with Eden Housing Corp.
Sixty apartments for low-income seniors at Warner Creek Senior Housing in Novato. Homeward Bound provides support services in a collaboration with Eden Housing Corp.
Homeward Bound is committed to equal opportunity and equal consideration without regard to race, religion, ancestry, national origin, sexual orientation, color creed, gender, age, disability or any other protected class.